HTC would be in talks to sell its mobile division. At least that is what some rumors coming from the Chinese market take for granted, which already speak of four potentially interested parties, including a Taiwanese company. An information not confirmed by the HTC address which, on the contrary, did intervene to deny the rumors with an official statement. Formally there is no negotiation in progress, although, to maintain caution in both directions, it must be kept in mind that on other occasions the company has denied rumors that have finally come to an end (remember, for example, the separation of the division that deals with the activity destined to develop the virtual reality). In fact, the rumor is not entirely unlikely, given the difficulty now encountered at HTC to meet the main competitors in the mobile market, increasingly competitive in Asia and increasingly saturated in the Western markets. And above this circumstance, it would also be plausible because of the financial conditions that HTC faces, despite having signed an agreement with Google to manufacture the Pixel and Pixel XL, since this time it was rather a simple assembler (the role of manufacturer was reduced compared to the work of Huawei or LG last year). At this point, it would even make sense that Google bought the HTC division, although the company plans to continue releasing its devices following the model of Pixel. The move would take precedence, as the company bought Motorola in 2011, but later changed its mind and in 2014 resold it, this time to Lenovo. 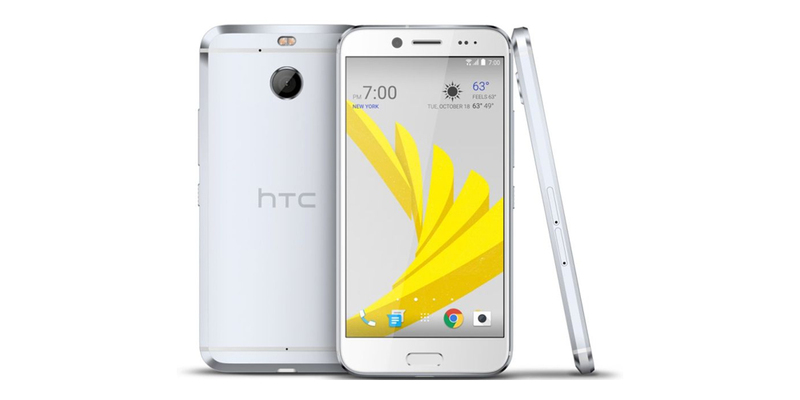 Since this rumor is unconfirmed by now, it is advisable to have the official version provided by HTC that, at least in the short term, is still preparing to renew the catalog of its smartphones, this time with the presentation of HTC 10 Evo (nothing less than the international version of the HTC Bolt), which according to official rumors leaked online in the last 24 hours, will be presented to the world tomorrow, November 22, 2016. It is a device with Qualcomm Snapdragon 810 processor, 3 GB of RAM, 32 GB storage, 16 megapixel rear camera for high quality photos, and 8 megapixel front camera dedicated to selfies and video calls.